This week we giveaway the Color Coded Homeschool Planner by Jennifer Osuch. This planner is set up so you can view each child within their color, making this a simple planner and record keeper. If you have one child or up to four children – this offers one of the easiest ways to categorize subjects, keep records and set goals for your child(ren) that I’ve seen in print form anywhere. What’s even better is that the more entries you can enter on this giveaway below (tweet about it daily to earn more entries) the more chances you gain to win! 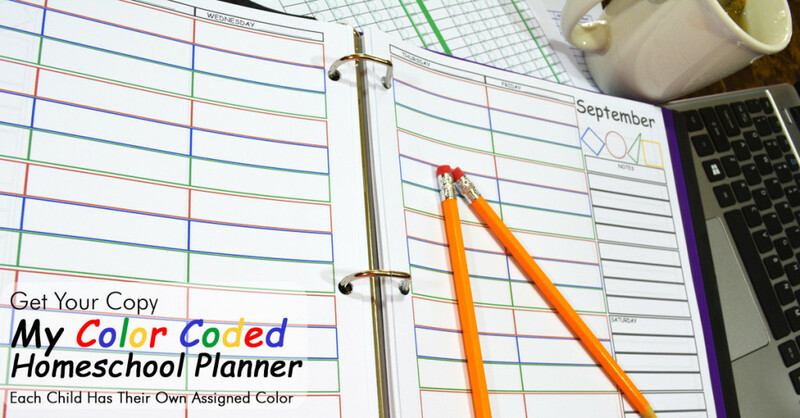 Perhaps you can get the Color Coded Homeschool Planner for FREE before you start the school year! Have fun! Hope you win! I’d love to win this since I’ve yet to find a great homeschool planner for this year. Thank you!